How To Fix Scan Disk Error During System Boot ? 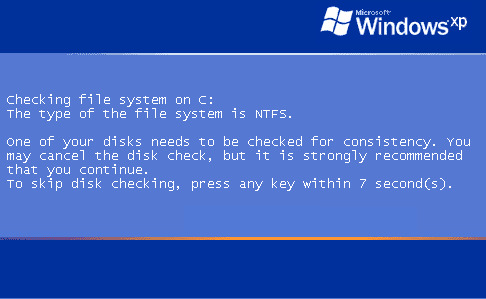 •Any of your External Hard Disk andie-privacy-manager-gives-more-security-for-your-browser/"> Portable Drive connected to your system may cause this error after every boot. message-box-toy-lets-you-create-fake-windows-error-message/">Want to create fake windows errors ? Here we have given the upcoming-features-of-windows-7-windows-leakes-screenshots/">simplest solution to solve this error. •In Run menu, type “cmd” (without double quotes” to go to the DOS prompt. •Then type “chkntfs /x drive letter” (without double quotes) For how-to-view-the-saved-passwords-in-firefox/">example :chkntfs /x c:. 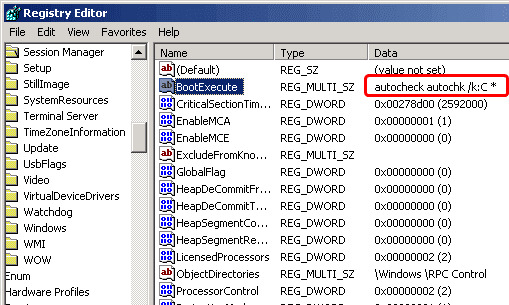 You have to type as given only if your system runs Scan Disk for C drive. This command will modify your system registry. Just navigate to the following path to check the correction.